Want to know how to make your moisturiser work harder this winter? You need to make sure your skin is squeaky-clean, as otherwise anything you apply afterwards won’t penetrate effectively. 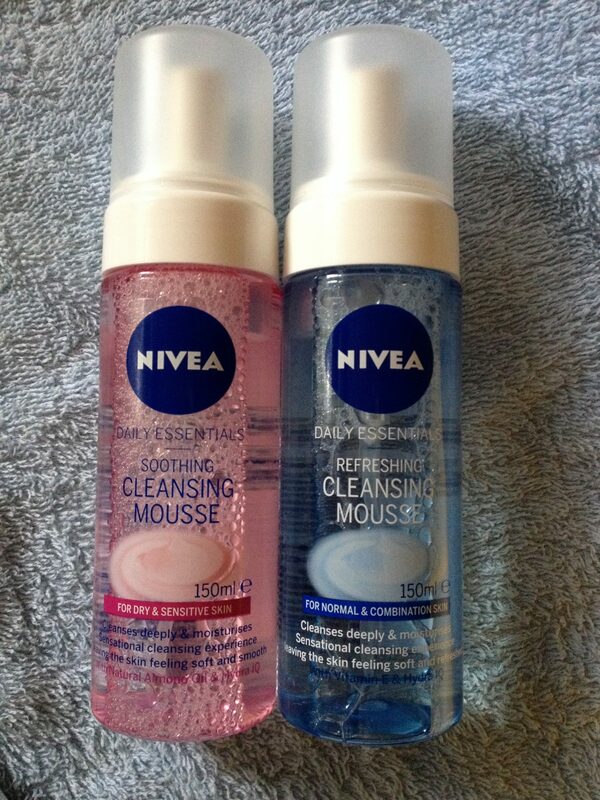 So put the face wipes away and try Nivea Daily Essentials Cleansing Mousse (£4.99). Available in two variants – Normal & Combination skin and Dry & Sensitive Skin, I tried out the Dry & Sensitive variant, as at this time of the year my skin is actually combination/sensitive. I may have opted for the Normal & Combination but decided against it as it contains alcohol which is never good for sensitive (or dry) skin types. And being the fourth ingredient listed, it is likely to contain a fair amount. I loved the airy and foamy mousse consistency which is easy to dispense and work into the skin; I used two squirts. It felt instantly refreshing and seemed to do a good job in removing dirt and grime. The formulations include added moisturisers, namely almond oil (Dry & Sensitive) and Vitamin E (Normal & Combination). The bottle advises rinsing skin with water afterwards, but I used a cotton wool pad to remove it as I like to see how much gunk has come off my skin. And it’s more gratifying! My skin felt calm and moisturised with no tightness afterwards so I give this cleanser the thumbs up. Available from Boots, Superdrug and all major supermarkets.